Why volunteer overseas in Bolivia? What kind of excursions will we be going on? What about visa requirements for entering Bolivia? What is the time difference to the USA? How is the weather? What to wear and bring? What is the standard accommodation? What experience is needed to join? Will I have to be able to speak Spanish? Who is the yoga teacher and group leader for the trip? Bolivia is less frequently traveled than other countries in South America, so there are more opportunities to see life as it is without the influence of Western culture that pervades more touristy places in the world. There is a need for humanitarian volunteering and it is a privilege to contribute. Each person makes a positive change one step at a time. With Karma Yoga and the path of selfless service, extending compassion and removing the borders that divide self from others is a life-changing experience for everyone involved. We have experienced the joy of giving and recieving by making a part of the world a better place for people in need. We will visit this local colonial town with an outdoor market early in the journey. In the middle of the trip, we will spend a weekend in this city. This includes a bus tour and a visit to LaCancha, South America's largest open air market. We will stay together at a hostel and enjoy night-life, if we choose, along with anything else that a Bolivian city offers. On the way back from Cochabamba, we wil visit this forest. The area of Incachaca Rainforest is considered to be one of the best bird-watching sites in South-America. The reason for this is that it cuts through the whole range of altitudinal forest types, from virtually untouched elfin forest down to the distant Amazonian lowlands. A variety of cloudforest birds live here, so if you love bird-watching, this is the excursion for you. Birds you might see here include: Turkey Vultures, Roadside Hawks, Peregrine Falcons, American Kestrels, Green-cheeked Conures, Rufous-capped Thornbills, Speckled Hummingbirds, Crimson-mantled Woodpeckers, Pearled Treerunners, Azara's Spintails, Band-tailed Fruiteaters, Tropical Kingbirds, Black Phoebes, White-throated Tyrannulets, Streak-necked Flycatchers, Blue-and-white Swallows, Spectacled Whitestarts, Blue-winged Mountain-tanagers, Safron-crowned Tanagers, Blue-and-black Tanagers, Blue-capped Tanagers, Rust-and-yellow Tanagers, Common Bush-tanagers, Black-backed Grossbeaks, Rufous-collared Sparrows, Saffron's Finches, Rufous-naped Brush-finches, and Stripe-headed Brush-finches. The Virgen de Urkupiña festival is annually held in August, prior to our visit. The festival is a host of different activities, ranging from an extended folkloric spectacle over a central Mass, to a huge popular pilgrimage of the faithful, who engage in rituals. People pray and offer promises to the Virgin of Urkupiña for money, health and luck. People honor sacred Pachamama (Mother Earth) with offerings of alcohol and food, burying or spilling it on the floor. Curiously, people like to extract rocks from a hill near the sanctuary of the Virgin, to be taken home and then return it the next year, as a symbolic act to ask the Virgin to grant them goodness. The opportunity for fortune-telling at this site is available to us here. The site is special, and an important and enjoyable part of the Bolivian experience. Copacabana is a small town on the Bolivian side of a lake (the lake is shared by 70% Peru and 30% Bolivia). The town is a prime Boivian tourist destination, not to be missed. It is the base for exploring the Island of the Sun, and the Island of the Moon, two sacred Incan islands. It is a town with many religous festivals. The town has a large 16th-century shrine, the Basilica of Our Lady of Copacabana. Our Lady of Copacabana is the patron saint of Bolivia. Lake Titicaca is the highest navigable lake in the world (3820 m) and it lies on the border of Bolivia and Peru. The saphire-blue waters measure 9000 km2 .The lake was the birth place of the Incas. In the lake, the Island of the Sun is where the first Incan was born. From the Satellite, this lake might resemble a puma, a creature highly-worshipped by the Incas. Titicaca originally means Gray Puma. There will be an additional cost of $100 for an in-country flight during the trip, which we will arrange for, but you will have to book your own flight to Cochabamba, Peru to arrive on September 7th and to come back on September 20th. When you book your flights, make sure you enter in the three-letter airport code of your nearest airport for your departure point, and enter in CBB as the three-letter airport code for your destination to the Cochabamba airport. A valid U.S. passport is required to enter and depart Bolivia. U.S. citizens do not need a visa for a stay of one month or less (that period can be extended upon application to 90 days). An exit tax must be paid at the airport when departing Bolivia. Please be prepared in case of losing your wallet, passport, or other travel documents. Bring copies of all your important travel documents and monetary documents, especially your passport, and store one set of copies in your luggage while leaving another set of copies with your emergency contact at home. Please verify that your passport is not only current but will not expire for at least six months after your program is scheduled to end. If you do not currently have a passport, please consult with the appropriate agency to obtain your government's requirements for obtaining one. Processing time needed to obtain a passport varies but can take up to two months to receive. At the moment, in the U.S., there is a backlog of travelers wanting passports, so apply early so you are sure to be able to leave the country. The program is available for individuals from any country, who are over 18 (unless accompanied by a parent or guardian) with an adventurous spirit and a true desire to help others. In terms of yoga, practitioners of all levels are welcome. 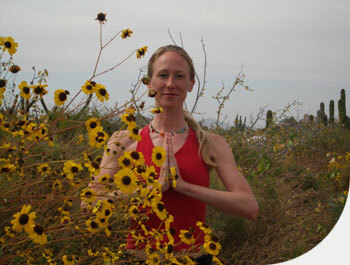 The asana class will be taught as a mixed level class. The actual karma yoga can usually be adapted to participant's abilities, skills and strengths. We encourage each and every one to share their interests and skills so bring along any musical instrument, games or tools needed to express and share your passion. We strongly suggest you have a genuine will to help and a liking toward children. We can direct you to health travel insurance. Your medical policy may give you international coverage. We also suggest that you get flight cancellation insurance. Contact us for information on how to easily arrange this. Please, study the registration form for information on cancellations and refund policies. Please Go to the register tab, and fill out the form. Choose your preferred options for accommodations. Please put in your information in the fields given. You can send a check after filling out the form or simply make your deposit via credit card. A $500 deposit saves your spot. When the rest is due, by 30 days before the journey departs, please send a check for the balance. Arrange your airline tickets for Cochabamba on September 7, 2008. Return on the 20th. We strongly suggest flight cancellation insurance. Please contact journeys@yoga.com to answer your questions about the journey. Just one. There will be an additional cost of $100 for an in-country flight during the trip, which we will arrange for.